A giant robot battle the likes of Real Steel is happening soon and we won’t have to wait until the year 2020 for these iron gladiators to get it on. After a few delays and renegotiations, US based MegaBots announced that the much anticipated event will be pushing through this August. This will pit the pride of MegaBots, Mk.III against Suidobashi Heavy Industry’s Kuratas mech from Japan. 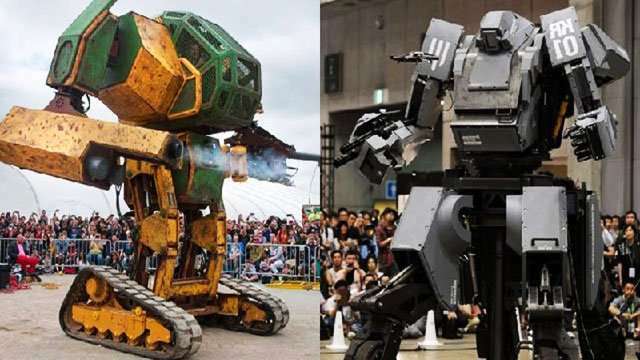 MegaBots initially challenged Suidobashi back in 2015 which sparked a lot of hype around the concept of giant robot duels as fans argued how their team would easily defeat the other. Needless to say, team Suidobashi which comes from what can be considered as the birthplace of mecha, including the mighty Gundams, accepted the challenge. They also suggested melee as the form of combat for the duel while taunting team MegaBots to make their robot look a little bit cooler. MegaBots will unveil the Mk.III during an event before the duel. Meanwhile, here’s a sneak peek of Suidobashi’s Kuratas which shows its features like weapons and technical capabilities.